1) What have you found inspiring and/or interesting about contributing towards the new EES degree for Central Asian students? When I read articles and reports published by MSRI, I see the focus mostly lies in recent unpredictable global climate change and its potential impacts on mountain societies. Climate change is one of the most urgent problems brought by the rapid globalization accelerated in the last decades. However, as more problems became globalized, I also see a trend of education globalization. Education is often presented as one of the most powerful solutions to critical and urgent problems in the world today. In this light, I believe that globalized education may facilitate effective communication and innovative development across different regions ameliorating current tensions. Contributing to the University of Central Asia EES degree as a UBC geography student born and raised in China is a clear demonstration of the ‘globalized education’. As I have benefited deeply from UBC’s highly regarded intellectual and academic influences, I feel responsible to help to transfer and transform UBC education influences into a Central Asia setting. In addition, my Chinese background reminds me all the time of the importance of wearing lenses to examine issues. I picture myself in the Khorog campus and ask myself, what would I want to learn if I am one of the Central Asian students? I strive to put myself in a Central Asian student’s or scholar’s shoes and project my concerns for my hometown’s socially and environmentally sustainable development. In addition to knowing and wearing a new lens, I find it especially interesting that this position gives me a chance that I never had before to pause and reflect on my current degree program. 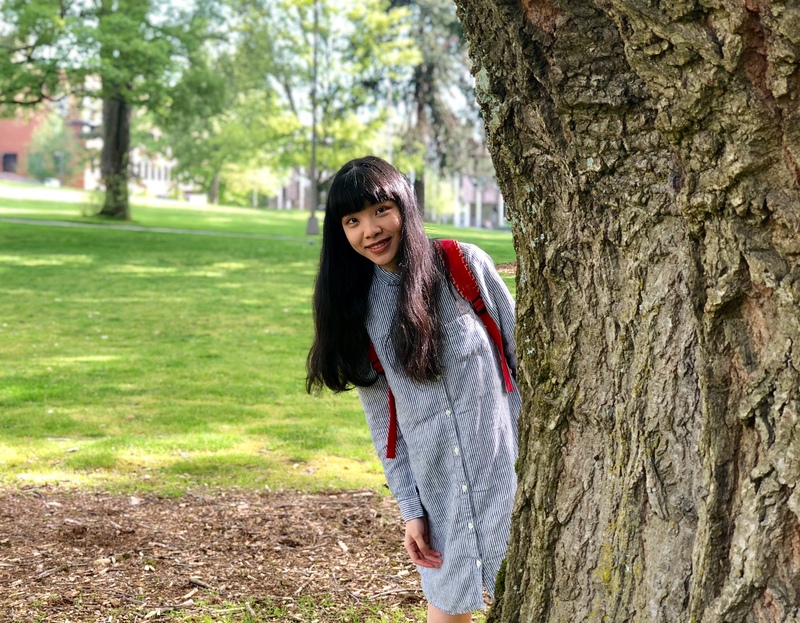 By stepping back and ruminating on UBC courses, I gained a deeper understanding of why certain courses were in place to prepare students for more advanced studies. This process of reflecting and asking questions enabled me to transform from a student working on problem sets and taking exams passively to a student actively engaging in building a solid grounding for future academic and professional development. As a fourth-year geography student, my familiarity with the majority of courses provided in the geography department facilitated my endeavor to provide insights to build a more balanced and practical curriculum program for the new EES degree. 2) What have you learned by working on this project – in terms of new knowledge, improved skills, and/or enhanced awareness about learning or teaching generally, and about Central Asia? My Chinese background made me particularly interested in the Belt and Road Initiative (BRI), which was first brought out by the Chinese President Xi, Jinping in 2013. As I was researching it from a Central Asia perspective, I found it especially difficult as most of the existing research was conducted with European and American lenses for its potential political and economic ramifications in Europe and the US. Since Central Asia may be politically disadvantaged in a global playfield, fewer incentives may be in existence for scholars to dig into the potential influences on the Central Asia regions. In addition to the limitation of BRI research on the Central Asia region, existing ones are mostly focusing on political and economic impacts while environmental concerns were raised recently but also not thoroughly examined. 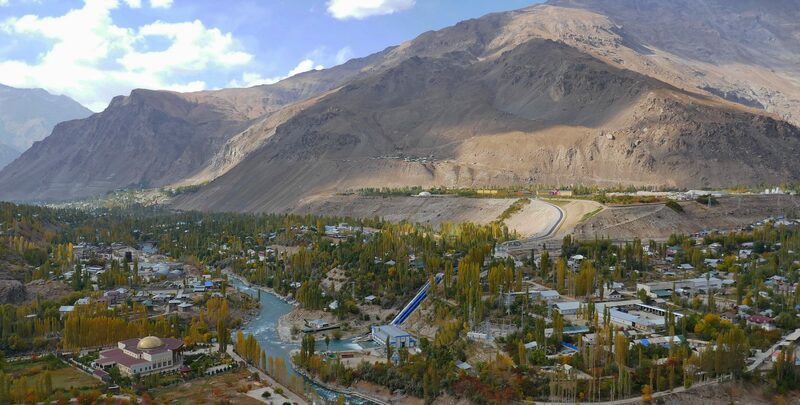 In this sense, I do believe that BRI may have significant impacts on regions along its pathway and more studies on environmental, social, and political influences of BRI should become one of the core themes of research in Central Asia in the foreseeable future. In addition to knowledge about BRI I gained from researching for this program, I learnt to use QGIS and explore OpenStreetMap in depth, particularly on the Central Asia region. I became very familiar with organizations operated in Central Asia. My case studies developed for the program also brought me close to the geography and culture of the Central Asia region. The case study about Community-based Management even inspired me to further explore more natural resources management conceptual frameworks in my future graduate study.